We consider the meeting between the Minister of Foreign Affairs of Finland, Timo Soini, and Minister of Foreign Affairs of Sweden, Margot Wallström, to be a telling example of the "conflict" between Russia and Finland as well as Sweden. Our minister is totally misleading in this situation. It is very bad that he refuses to discuss serious issues with Russian officials. He refuses proposals from Russian officials to discuss security issues concerning the Baltic Sea. Some countries, for example Sweden, have received official invitations to bilaterally discuss issues, but Finland has not received one yet because Mr. Soini refuses any such invitation. This is a slap in Russia’s face. We have had ongoing agreements between our countries for good neighborliness since 1992. According to these agreements, we should discuss all particular issues bilaterally and in a mutual and friendly way. Now, our minister for foreign affairs is running to Sweden for support. It seems like Mr. Soini is in total panic. He is going, so to say, to beg up the skirt of his colleague, Ms. Wallström. They are agreeing to work jointly against Russia. This is unacceptable for independent, sovereign countries. They’ve decided to travel together and bring joint opinions to the international scene. This is terrible. It also seems like Mr. Soini is misleading his colleague by not mentioning the valid agreements between Finland and the Russian Federation. The first most important agreement was the Paris Peace Agreement of 1947 which ended the war between Finland and the Allied Nations. Finland was at war not only with the Soviet Union, but also the British Empire. 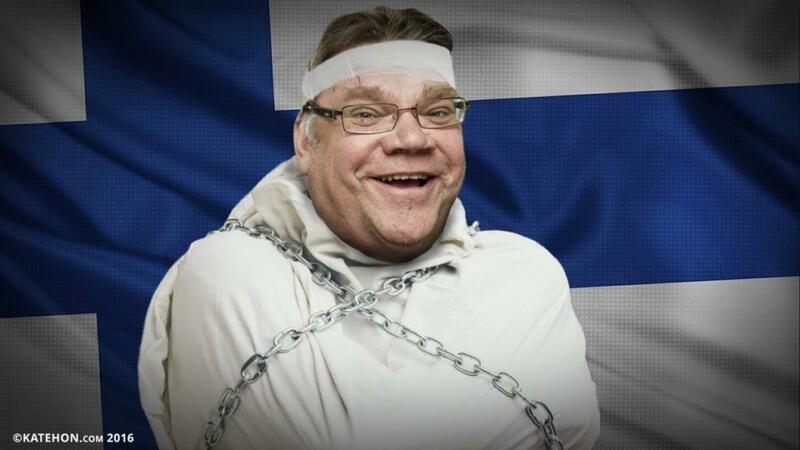 Mr. Soini should have mentioned these agreements, which cannot be denied. Instead, there is total diplomatic schizophrenia. Mr. Soini cannot keep running away from meetings. The reason for such undiplomatic behavior is the secret operational PAX which was established under President Koivisto. The idea was to nullify the Paris Peace Agreement so that Finland could join the EU. Now, Mr. Soini is trying to hide this deception. What Koivisto has done is treason. And this was a secret kept from the public for 25 years. Now our minister for foreign affairs wants to escape and get Sweden’s support. Of course, the United States is also behind this. NATO is their tool to control Europe. They have been expanding and training troops within Finland as well. Now we have this strange agreement to assist them, according to which the Americans can ask Finns for help even in attacking other countries. And the only country they could attack is, of course, Russia. The EU has been under the US’ control. But now this system is collapsing. Britain wants to separate from this illusory union which can’t bring anything good for nations and has lost its credibility. Finland and other countries have the same arguments to follow the British example. The Americans are trying to keep this house of cards standing, but this is impossible. The Americans need to keep NATO in order to sell their military equipment, and for this reason they are creating the illusory Russian threat and pushing European countries to prepare for a possible attack by Russia. Of course, there is no reason for Russia to attack Finland or Europe. This is insane. Swedish politicians are playing into the hands of NATO.